Beautiful days are coming and the weather is getting warmer - it’s time to go outside! The After School Activity Programme is running taster session for Festival Fortnight. Venture to Kelvingrove Park red-ash pitches and turn this lovely Scottish space into an American sports ground. 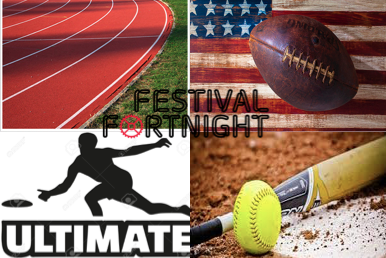 If you fancy trying softball, American flag football, ultimate frisbee or just need to unwind, Kelvingrove is the place to be. These events are open to all abilities and experiences for EVERYONE aged 14+. If you prefer to run without chasing a ball or frisbee, join Afer School Activities Programme for a timed run! Do you know your real limit? Do you think you can beat Usain Bolt? Surprise yourself! Receive your time for running 100, 200, 400, 800 or 1600m in a safe and inclusive, non-competitive environment. All events offer the chance to meet new people, create new relationship, share unforgettable moments, discover new sports and most importantly, have fun! Events are FREE, all you have to bring is energy! Written on 16th May 2018.